K.G.F: Chapter 1 is a 2018 Indian Kannada-language period action film written and directed by Prashanth Neel, and produced by Vijay Kiragandur under the banner Hombale films. 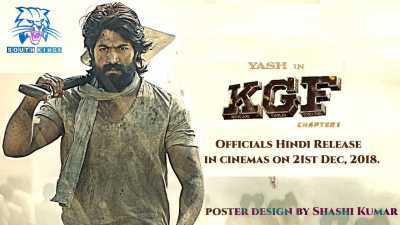 It is the first installment in the two-part series, followed by K.G.F: Chapter 2.Yash stars as Rocky, while Ramachandra Raju features as Garuda. Anant Nag narrates the film while also playing a supporting role alongside Srinidhi Shetty, Vasishta N. Simha, Ayyappa P. Sharma and Harish Roy. The development of the film began in early 2015 when Neel completed writing the screenplay. However, filming began only two years later, in March 2017. Majority of the film is set in Kolar Gold Fields and was filmed on location. Bhuvan Gowda served as the cinematographer and Shrikanth as the editor. Ravi Basrur scored music for the soundtrack and the film’s background.